La Crosse Scale can provide the communication scheme you may require in interfacing your weighing systems to your Network. We manufacture all weigh module components in our own ISO 9001 registered plants. Plus our load cells can be used in hazardous areas when used with METTLER TOLEDO Intrinsically Safe Instrumentation, meeting Factory Mutual, CSA, and international Ex requirements. 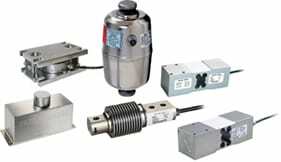 All load cells and weigh modules below are all approved for EX, FM OIML NTEP and CE. 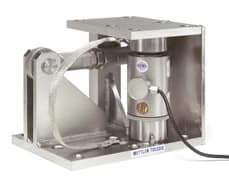 Mettler Toledo FLEXMOUNT® weigh modules let you add weighing capabilities to your process by converting a tank or other structure into a scale. They are designed for static applications such as tanks, hoppers, blenders, and other vessels used to fill, batch, or mix ingredients. These weigh modules can also be used to convert mechanical scales for electronic weighing. Available in capacities of 250, 500, 1250, 2500, 5000, 10,000, lb (220, 550, 1100, 2200, 4400 kg). Approvals Include; NTEP, OIML, CE (European), FM, and EX. 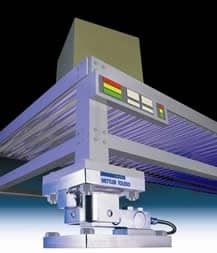 Mettler Toledo CENTERLIGN™ weigh modules let you add weighing capabilities to your process by converting a conveyor or other structure into a scale. 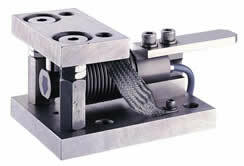 They are designed for dynamic applications where loading involves horizontal forces. Typical dynamic loading methods are by conveyor, ramp, and fork lift. These weigh modules can also be used to convert mechanical scales for electronic weighing. Available in capacities of 250, 500, 1250, 2500, 5000, 10,000 lbs. (220, 550, 1100, 2200, 4400, 9072, kg). Model 0970 RINGMOUNT® weigh modules let you add weighing capabilities to your process by converting a tank or other vessel into a scale. A smooth, sanitary design makes them ideal for clean-in-place applications in the food, pharmaceutical, chemical, and biotech industries. The self-centering suspension ensures high accuracy and repeatability throughout repeated process cycles. Available in capacities of 250, 500, 1000, 2000, 3500, 5000, and 10,000 kg. OIML C3 R60 3000d -capacities up to 22,000 lbs -C6 R60 6000d available up to 11,000 lbs. GAGEMOUNT weigh modules let you add weighing capabilities to your process by converting a tank or other structure into a scale. They are designed for heavy-capacity applications such as tanks, hoppers, blenders, and other vessels used to fill, batch, or mix ingredients. Regardless of the application, these easy-to-install weigh modules can deliver accurate and repeatable performance in heavy-duty environments. Available in capacities rated in Tons; 20t, 30t, 50t, 100t, 200t and 300t. Model 0972 ULTRAMOUNT® weigh modules let you add low-capacity weighing capabilities to your process by converting any structure into a scale. The ball-and-cup suspension provides reliable performance in both static and dynamic applications. These weigh modules can also be used to convert mechanical scales for electronic weighing. Available in capacities of 5, 10, 20, 50, and 100 kg. 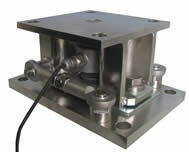 POWERCELL MTX® is the ideal load cell for vehicle scale applications. The high speed interface enables safe data transfer and quick installation. Scale diagnostics are done in almost no time. 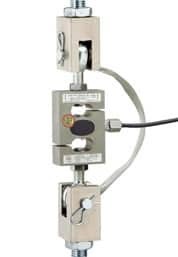 All POWERCELL MTX® load cells have an in-build lightning protection and glass to metal connector for IP68/IP69K protection. POWERCELL MTX® is available in capacities of 25 t, 45 t. Ideal for truck scale conversions, and the VKR-210 kit is available allowing customers w/mechanical scales or older fully electronic truck scales to upgrade to the outstanding value and protection of the DigiTOL Power Cell Engine. Tension weigh modules let you add weighing capabilities to your process by converting a suspended tank or hopper into a scale. They are designed to support the full weight of a suspended structure. 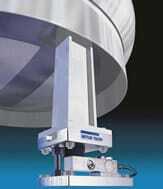 Mounting hardware ensures that only vertical load is measured, providing reliable weighing. Tension weigh modules can also be used to convert mechanical scales for electronic weighing. Available in capacities of 50, 100, 200, 300, 500, 1000, 2000, 3000, 5000, and 10,000 lb (25, 50, 100, 200, 500, 1000, 2000, and 5000 kg). 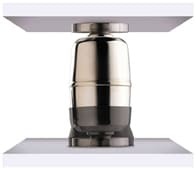 Mettler Toledo model 0363 is a tension load cell made from nickel plated alloy steel. Typically it is used in suspended hoppers for general industry purposes. Conversion of mechanical vehicle scales into hybrid scales is another application area. 0363 is available in capacities of 50, 100, 200, 300, 500, 750, 1000, 1500, 2000 lb. Ideal for converting any existing mechanical truck, bench, floor and other scales to an electronic weighing scale.